Jazz Station - Arnaldo DeSouteiro's Blog (Jazz, Bossa & Beyond): SHM-CD of the Month - "Hubert Laws: The Chicago Theme"
SHM-CD of the Month - "Hubert Laws: The Chicago Theme"
Featuring: Hubert Laws, Bob James, Don Grolnick, Doug Bascomb, Ron Carter, Stanley Clarke, Steve Gadd, Andrew Smith, Ralph MacDonald, Eric Gale, Joe Beck, George Benson, Richie Resnicoff, Phil Upchurch, David Sanborn, Michael Brecker, Randy Brecker, David Nadien, Harry Lookofsky, Manny Vardi, Alfred Brown et al. Highlights: "Midnight At The Oasis" (David Nichtern's hit for Maria Muldaur), the Thom Bell-Linda Creed soul gem "You Make Me Feel Brand New" and the disco-oriented title track, "The Chicago Theme," composed by Bob James. Also incluses two Hubert Laws' originals and an adaptation of Dvorak's "Going Home." 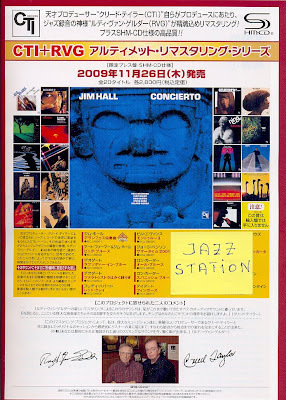 For the very first time, 20 CTI titles from the 70s were released on SHM-CD format (some of the albums from the 60s, from the A&M/CTI era, had appeared before, such as Wes Montgomery's best-selling "A Day In the Life") in Japan. 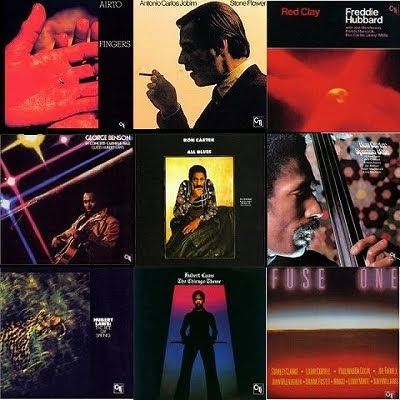 AND, also for the first time ever, such albums were digitally remastered, in 2009, by the man who recorded most of them during the CTI heyday in the early 70s, the wiz Rudy Van Gelder, under the direct supervision of another legendary jazz master, producer Creed Taylor! 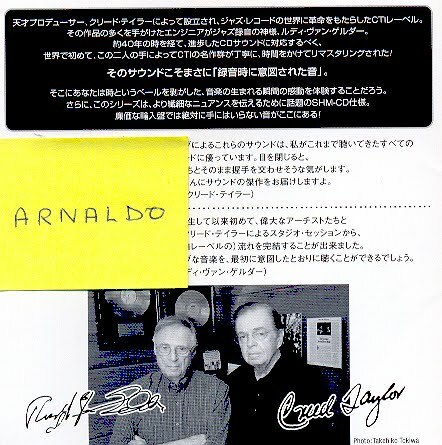 The booklets preserve the original LP artworks, done mostly by the unmatched team of Pete Turner (front cover photos) and Bob Ciano or Tony Lane (album designers), with liner notes written by Arnaldo DeSouteiro, Ira Gitler, Leonard Feather, Toshio Handa, Shoich Yui and Masa Asanishi. All previous CTI CDs released in Japan in the past 25 years had been remastered at King Studios by such engineers as Seiji Kaneko and Kuniaki Takahashi, sometimes under Arnaldo DeSouteiro's supervision; and all the CTI CDs released in the USA and Europe by Sony had been remastered by experts like Tim Geelan and Mark Wilder, with whom DeSouteiro worked respectively in the first domestic releases of such titles as Deodato's "In Concert - Live at Felt Forum" and Jobim's "Stone Flower." 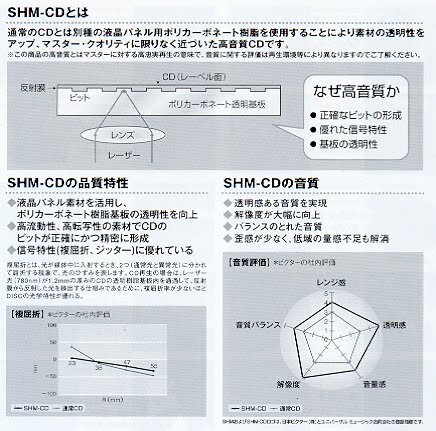 SHM-CD means "Super High Material CD" and involves a new technology of manufacturing. This high quality SHM-CD format features enhanced audio quality through the use of a special polycarbonate plastic. Using a process developed by JVC and Universal Music Japan discovered through the joint companies' research into LCD display manufacturing, SHM-CDs feature improved transparency on the data side of the disc, allowing for more accurate reading of CD data by the CD player laser head. SHM-CD format CDs are fully compatible with standard CD players.